In the last couple of weeks, one interesting news story that has been easy to miss is the takeover of the East of England Co-op’s department store business by Vergo Retail. Vergo Retail, as you may be aware, is the Liverpool-based operation headed by David Thompson that, in 2007, rescued Lewis’s of Liverpool, Joplings of Sunderland and Robbs of Hexham from the brink of closure after Owen Owen, the previous owner, had gone into administration. Reports suggest that Vergo Retail has been doing rather well since then. Certainly, the business has been performing well enough to snap up the non-food operation of the Plymouth & South West Co-operative Society[broken link removed] (PSWCS) in February this year, including the Derrys department store in Plymouth and four additional Homemaker stores in Devon and Cornwall; and well enough to double the size of the business again, just a couple of weeks ago, with the acquisition of twelve East of England Co-op shops. This latest acquisition includes department stores in Norwich, Ipswich, Colchester, Clacton-on-Sea and Great Yarmouth, as well as six home stores in Felixstowe, Stowmarket, Clacton, Stanway, Dovercourt and Witham, and a standalone jewellery store in Colchester. These developments are notable for various reasons, not least in being illustrative of the extent to which the UK’s consumer co-operative movement as a whole has recently been seeking to exit the non-food sector. A critical milestone in this respect was the Co-operative Group’s decision, in 2005, to close or sell its 36 department stores; here in the North East, this resulted in the closure of landmark stores in Gateshead, Newcastle, Chester-le-Street and elsewhere, while a few others – including Bishop Auckland, Blyth and (briefly) Berwick-upon-Tweed – became part of Anglia Regional Co-operative Society’s Westgate Department Stores business. The impact of the Co-operative Group’s exit from department stores has been significant. 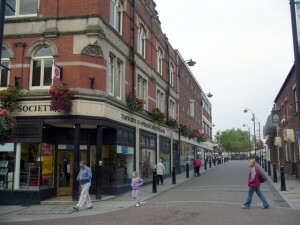 First, it has created challenges for those (dwindling number of) independent co-operative societies that remain – such as East of England and, in my parents’ home town, Tamworth Co-op – requiring them to source new suppliers and renogotiate with existing ones, while having to work increasingly hard to maintain gross margins. Second, it has meant that for any societies seeking to merge with the larger Co-operative Group – such as United Co-op in 2007, and PSWCS in 2009 – prior disposal or closure of their department stores has essentially been a prerequisite. Vergo Retail’s recent moves are therefore significant in that they seem to offer unloved and unwanted Co-op department stores a lifeline – as non-Co-op department stores. 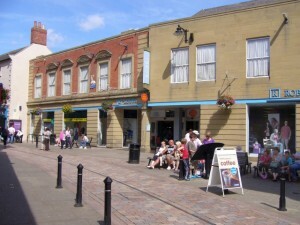 In the east of England, there can be little doubt that many of the now-saved stores would have closed had Vergo not stepped in – yet they are all shops that have a loyal clientele; that perform an important function within their respective communities; and that, with some dynamic management and a little investment, could once again be highly successful. Indeed, as Vergo expands its empire, its ability to secure improved supplier terms – and offer better deals to customers – will be enhanced; the very opposite situation to that faced by the few remaining co-operatives with non-food interests. What is interesting, from a historical point of view, is that I can think of no precedent where Co-op department stores have been acquired, as going concerns, by a non-co-operative retailer; rather, if you were to go back to the 1950s and earlier you would see the process happening in reverse, with independent department stores – such as Newcastle’s Henry A Murton’s in Grainger Street[broken link removed] – being acquired by local co-ops. Going forward, much will depend of course on whether Vergo can successfully turn around the mostly loss-making stores that it has acquired; however, the company’s apparent success in reinvigorating Lewis’s, Joplings and Robbs (no-one can forget the sad, plundered interior of Robbs in the days leading up to its aborted closure) bodes well. For me, though, the burning question – and one that I cannot find either asked or answered anywhere else – is how will Vergo rebrand its newly acquired stores in Norfolk, Suffolk and Essex? After all, a store that is no longer a co-operative can barely be called a ‘Co-op Department Store’. It will be interesting to see whether Vergo comes up with some locally-inspired names, or whether – in House of Fraser style – it seeks to bring some brand consistency to its growing portfolio. Lewis’s of Clacton, anyone? 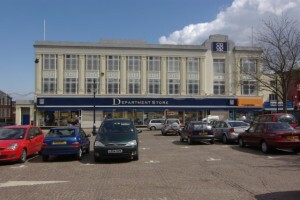 Thank you to Stephen McKay for the use of the photograph of Great Yarmouth’s Co-op (now Vergo) department store, which is © Copyright Stephen McKay and licensed for re-use under the Creative Commons Licence. Previous story Does anyone else photograph Tescos? 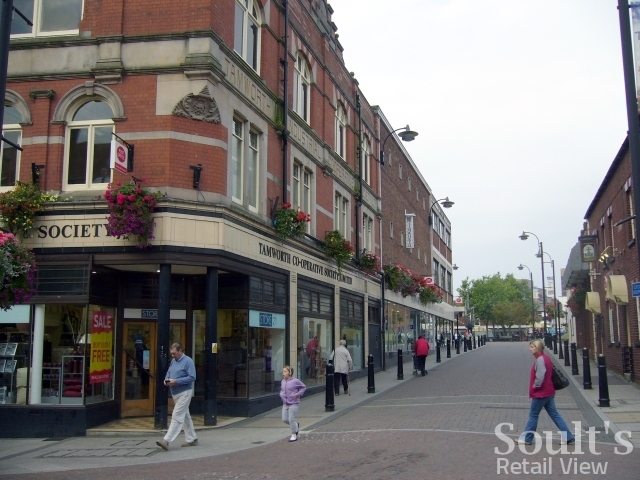 Soult's Retail View» Blog Archive » Tamworth Market: the worst street market in Britain?